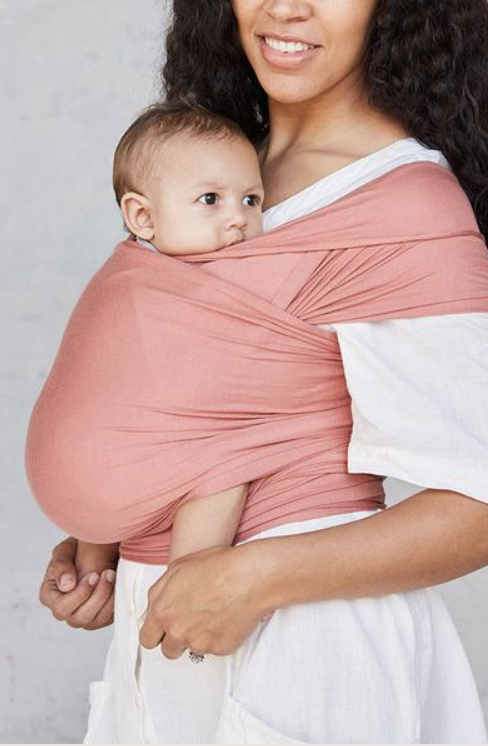 Meet Elle Rowley, the woman behind Solly Baby, the super light wrap used to carry your baby. 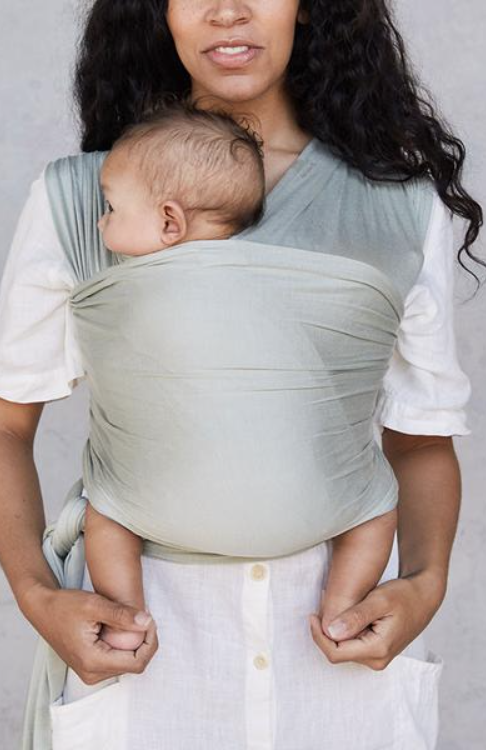 Closeness, touch, being together and building that bond are so important for your little ones, and these Solly wraps provide comfort to take on your daily life while providing the essentials to your newborn and baby. Elle made the first Solly Baby wrap in 2011 in the sewing nook of a little house in Salt Lake City after the birth of her second child, Solomon (hence the name Solly Baby). 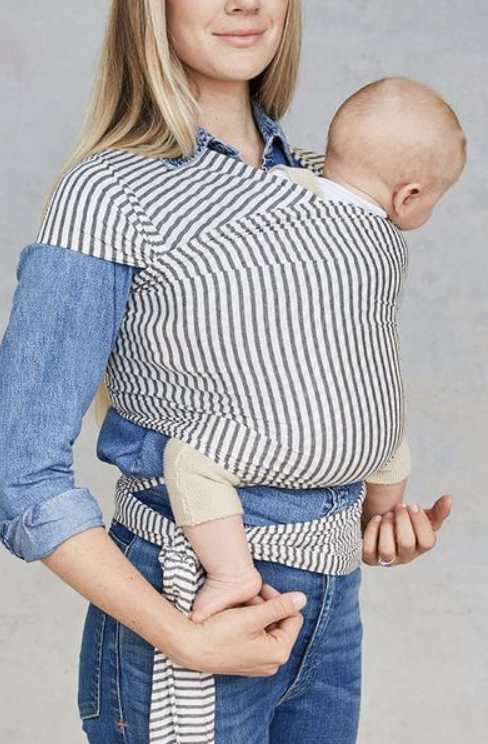 After using migraine-inducing carriers that left her feeling like a packhorse with her first baby, Elle wanted something comfortable and chic to wear, that could not only best meet Solly’s needs, but also enable her to still chase after her toddler as well. Elle worked while her babies were sleeping and while her husband, Jared, was finishing school – lining the living room with tape as cutting guides, experimenting with fabrics and sewing on her Craigslist serger design a wrap that was functional, beautiful and felt like her. We were honored when Elle agreed to be featured on our site. We sat down with her to learn more about their brand, what inspires her collections and her favorite go to gifts. How did you launch your brand? Solly Baby really began with making myself a wrap six years ago, falling in love with the experience, and finding every way I could to share it online. What inspires you? The idea of helping women experience life with their little ones while retaining a sense of their own style and aesthetic at a time when it’s hard to recognize yourself in the mirror. Favorite Brands? So many!! There are so many female designers in fashion who are killing it right now. I think motherhood used to be seen as something crippling for your career and your sense of style, but that is changing and I am so inspired. I love watching Ulla Johnson, Doen, Mara Hoffman, Jenni Kayne, Christy Dawn, Storq, our children’s line ARQ the list goes on! Biggest Challenge of running your business? I am an introvert in my own way so the relentless pace of social media and “sharing” can make me want to hide under a rock sometimes. Still, I am so grateful for the way social media has opened up the business world for mothers. Best advice you've ever been given? Well, Oprah didn’t say this to me specifically :wink: but in a speech she gave years ago she said to align your personality with your purpose and then no one can touch you. That really stirred something in me. What app changed your life? I’m in the middle of a move and a product launch so right this minute Uber Eats is literally saving my life. One tip? Be kind to yourself. Your biggest aha moment? When I realized success is so relative and that I didn’t need to compare my definition with anybody else’s or let anybody else’s define my own. Happiness is? Chocolate chip cookies! Kidding, but not. They really make me so happy. Favorite go to gift for your kids, bestie or husband? Candles and a good book for my friends. To me that says luxury.